You may not need foreign currency now, but what about bitcoins? Most organizations looking for an ERP or accounting system say that they don’t need foreign currency. However, the rise of the bitcoin may change that. 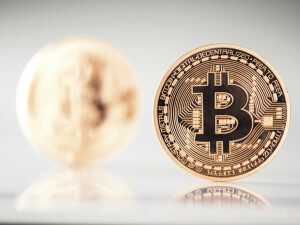 Big companies, such as Dell, Expedia, Microsoft and Time, Inc., have begun accepting bitcoins. These companies are partnering with bitcoin processing firms like Bitpay or Coinbase to convert the online currency into cash. While the adoption of bitcoins is a slow trend, it may shed light on the future of technology and online payment systems in business transactions. Ten years ago, bitcoins did not exist – imagine what new currencies might exist a decade from now? So while you may only do business within one country, you should consider multicurrency capabilities when looking for a new ERP system. Carillon ERP includes fully integrated multicurrency functionality straight out of the box for clients to utilize when they need it. Whether you need multicurrency capabilities now or in the distant future, Carillon ERP will handle all of your currency needs. Software Advice™ Report Analyzes Influences of ERP Buyers’ Purchasing DecisionsCarillon ERP Is Expanding and Moving!